Sources describe the Muslim Mallik as those who have converted from Hinduism in the past. Farming has been a traditional vocation, but the Mallik are presently engaged in other vocations as well. A married woman wears a nose-stud as a symbol of a marriage. Their traditional community council consists of nine members who are elected by a voice vote for a period of one year. In most areas they freely associate with other Muslim groups, but in a few areas there are social restrictions in place for certain Muslim groups. They are Sunni Muslims. Anyone coming to Christ in a Muslim community is likely to experience ostracism, or worse. Fear of rejection by family and friends is a strong deterrent. Muslims already know of Jesus (whom they call Isa al-Masih), and honor him as a prophet. Perhaps the Lord will reveal himself more fully to many in the Mallik community. Please pray for this to occur. 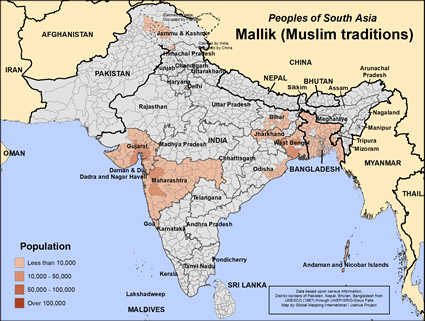 The Mallik live in India, Bangladesh, and Pakistan, but there are no known Christians among them in any of these countries. However, please pray for any secret believers there may be, and pray for those who will soon come to Christ in each of these three countries. 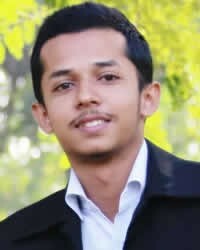 Please pray for strong conviction of sin for this people group, that they will yearn for a savior. Pray they will not receive satisfaction from a religion that offers no promise of eternal life, and no power to live abundantly in this life, as Jesus promised those who follow him. View Mallik (Muslim traditions) in all countries.